Dozens of exhibitors including one of Europe’s leading train builders are planning their Durham Oktoberfest 2018 return. The event, held at the Xcel Centre on October 19, was the most successful yet with over 100 companies showcasing their products and services to an audience of nearly 1,000 people. 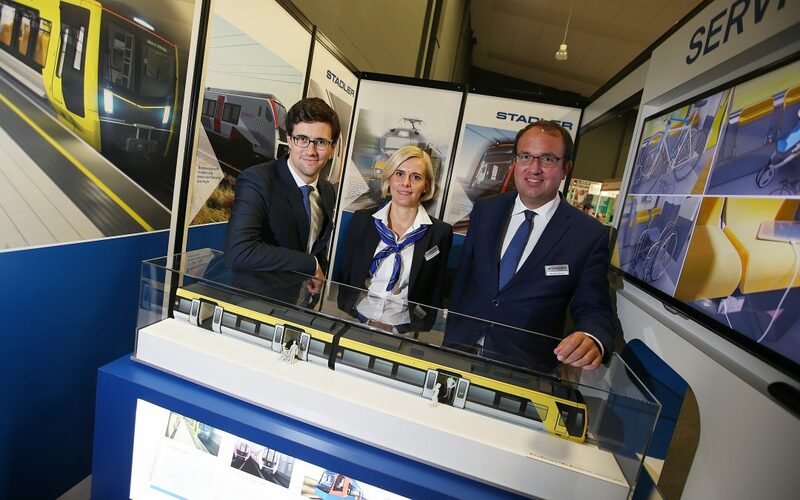 And just three weeks after the event, many of those companies who exhibited, including Stadler Rail, have confirmed they are likely to return next year. Elaine Greenwood is UK Light Rail representative for Swiss manufacturer Stadler’s UK division, which was one of Oktoberfest’s GOLD sponsors alongside Business Durham. She said: “This year was the first time that Stadler participated in Durham Oktoberfest but it most certainly will not be the last. “We are very keen to get to know the local suppliers and were delighted to be given that opportunity through this event. It was also very appreciated to be able to showcase ourselves to the area. The event was organised by County Durham Engineering and Manufacturing Network (CDEMN) with the support of Business Durham and the Rail Alliance. Chairman David Land said: “We’ve had some fantastic feedback from exhibitors and attendees, many of whom are planning to return next year which is what we want. Another company impressed with the event is laser cutting and engraving company Trotec, who are based in Washington.